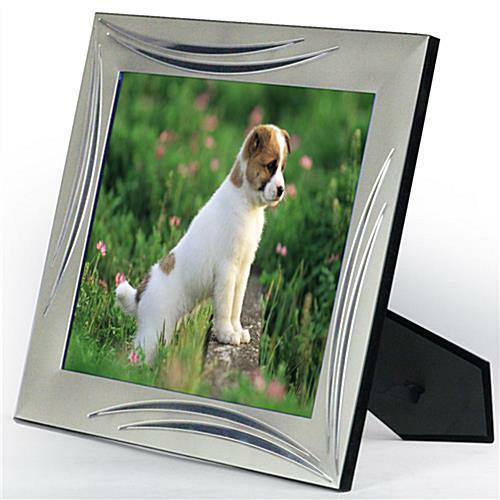 This silver picture frame w/ chrome accent makes a classy presentation for treasured family, baby, or wedding prints and artwork, keeping them protected from dust and light with a glass lens. 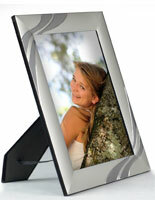 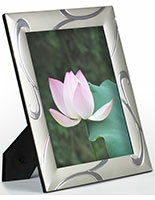 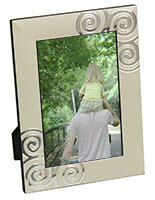 This 4" x 6" custom display with a tarnish resistant faceplate spruces up home decor and never needs polishing. 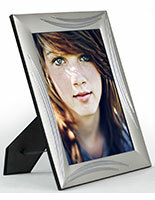 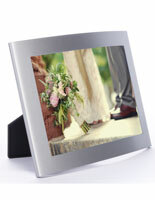 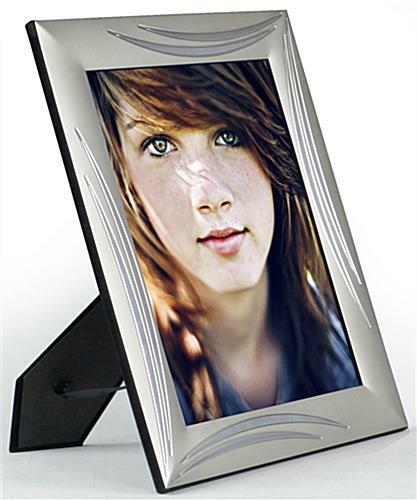 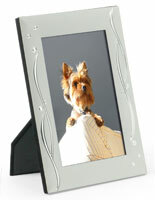 This silver picture frame w/ chrome accent has a black felt backer and sides, giving this accessory an upscale appearance. 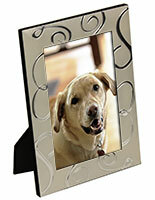 This framing is maintenance-free and inexpensive, unlike silver or pewter. 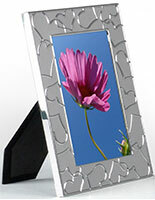 This easel-back frame that is designated for countertop use only can be viewed in vertical or horizontal orientation.